German Wirehaired Pointers trace their origins back to the late 1800s. They originated in Germany where breeders wanted to develop a rugged, versatile hunting dog that would work closely with either one person or a small party of people hunting on foot in varied terrain; from the mountainous regions of the Alps, to dense forests, to more open areas with farms and small towns. The breed the Germans desired had to have a coat that would protect the dogs when working in heavy cover or in cold water, yet be easy to maintain. The goal was to develop a wire-coated, medium-sized dog that could search for, locate and point upland game; work both feather and fur with equal skill; retrieve water fowl; be a close-working, easily trained gun dog; be able to track and locate wounded game; be fearless when hunting sharp game such as fox; be a devoted companion and pet; and, be a watchdog for its owners&39; family and property. In 1959, the breed was recognized by the American Kennel Club and the German Wirehaired Pointer Club of America (GWPCA) was established. ducks in the morning, hunt quail, pheasant or chukar in the afternoon, and wait in a blind for an evening flight of geese. Wirehairs serve as companions who'd rather sleep on their owners' feet than anywhere else. They compete successfully in conformation shows, horseback field trials, AKC hunting tests, agility, obedience, and every type of performance event you can name. It is not uncommon to find the same dog participating in several of these events concurrently! They also serve individuals and communities in the form of therapy dogs, drug detection dogs, and much more. Along with the intelligence and will the Wirehair possesses, the breed also has the capability to be very creative and somewhat independent. They prefer to work for who they like and will very often create their own rules of engagement. Wirehairs generally are a high energy, high drive, though not "hyper," breed and the need for a "job" is a must! Even if the job description includes only retrieving newspapers and slippers, this breed needs to be given meaningful work. GWPs are extremely devoted dogs. In fact, they crave human companionship, doing best in a home where they are permitted a very warm, close relationship with "their people." They are a breed that typically does not make a good kennel dog, nor a dog that lives all its life in a backyard with little human contact. When raised in a home with one owner, they become very definite oneperson dogs. When raised in a home with several people, including children, they adopt the whole family, although some dogs may attach more strongly to one member of the household. Young GWPs are typically funloving and playful, and with proper supervision for both children and animal, GWPs and kids do very well together. On the other hand, an adult GWP that has not been raised with children may need strict supervision if sent to a home with young children. And, as with any dog, very young children should be taught to properly handle a puppy, as well as to understand the difference between playing with a dog and hurting it. The breed's high prey drive may not make it the best choice for families with cats and other small animals. Some Wirehairs raised as puppies with cats do just fine, accepting the family cat as part of the pack. Even some adults make the transition from a non-cat to a cat-owning family. But it is not a given and most breeders will caution against it. Since this can be a strong-willed and independent breed, the GWPCA supports permanent identification in case the dog becomes lost or separated from its family. AKC offers a lifetime "Lost & Found" option with AKC registration. The GWPCA Rescue offers low-cost microchipping and registration of the microchip with AKC Companion Animal Recovery program at each year's National Events. Generally, GWPs are healthy, long-lived dogs, with many individuals reaching 14-16 years of age. As with any large-breed dog, hip dysplasia may be a concern. Buyers should verify that the breeder of their new pup has screened for this crippling joint disease and that the dog's family includes animals that are certified by OFA (the Orthopedic Foundation for Animals) or PennHip. Additional genetic testing which reputable breeders conduct may include OFA thyroid, elbow dysplasia, cardiac clearances and Von Willebrand's Disease. For more information on any of these diseases, visit www.offa.org. Many GWPCA members support health research through the AKC Canine Health Foundation - a nonpofit charitable organization whose mission is to help dogs live longer, healthier lives. 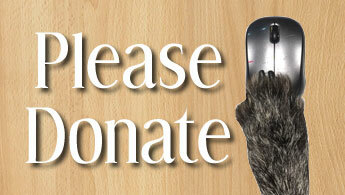 Supporting the CHF helps ensure a healthy future for all dogs. For more information about ongoing health research, visit www.akcchf.org. 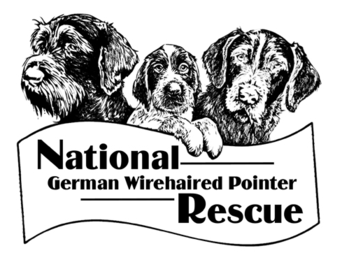 Visit www.gwpca.com - The GWPCA is composed of approximately 500 German Wirehaired Pointer owners. We encourage new members and try to serve the needs of our members in a wide variety of areas. Please visit www.GWPCA.com to find information about joining our club, member breeders, breed rescue and much more. The GWPCA licenses local clubs in most areas of the country; publishes a regular journal, the WireNews, for its members; donates money to health research that impacts our breed; hosts the National Events each year; and handles many more tasks in support of the breed. One of the most common questions we receive is about the grooming needs of a Wirehair. It can be a daunting task, or at least feel like it, but in reality, keeping your GWP looking good shouldn't be that difficult. There are some tricks and tips, some tools, and timing issues that make it all so much easier. keep them in good shape.